Wet chemistry analytical lab at the SGS life sciences laboratory. SGS invested it has invested £7.6 million ($9.8 million) in its facility in Glasgow, UK to expand the capabilities and capacity for testing cell banks and routine bulk harvest for vaccines, gene and cell therapies, monoclonal antibodies and other recombinant protein based biological medicines. The investment has been supported in part by a Scottish Enterprise Research and Development grant award of £1.7 million. The facility now totals 2,400 sq. m., employs 65 staff and plans to significantly increase the number of scientific and quality personnel at the site. Clients will benefit from a fully comprehensive range of validated biosafety methods to support cell bank and viral vaccine manufacturing and lot release of drug product, as well as new technologies for pathogen detection, including next-generation nucleic acid sequencing and new cell-based viral detection systems, said Archie Lovatt, PhD, scientific director. 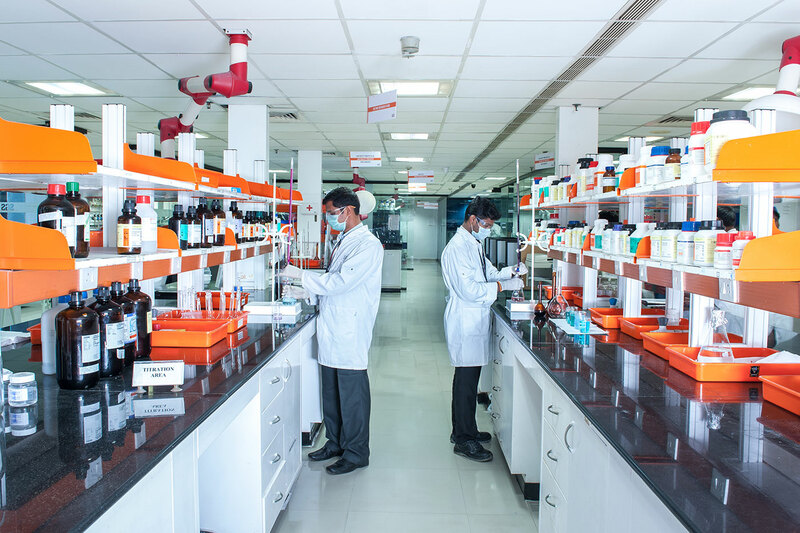 The new laboratory will also increase the capacity of all existing biosafety services and enhanced real-time polymerase chain reaction (PCR) platforms, to support viral safety and genetic stability assessment of cell banks for vaccines, gene and cell therapies. Additionally, SGS will undertake the development and validation of new cell-based viral detection systems at the site, added Lovatt.